Do you like your giant mech games dark, grainy and gorgeously lit? Then you may want to eyeball these new screens of FromSoftware's Armored Core V, the next entry in the long-running and prolific series of mech-versus-mech games. And if you're just realizing now that there is such a thing as Armored Core V—this one's for the PlayStation 3 and Xbox 360—you may want to catch up on the previously released but similarly handsome screens from earlier this year. 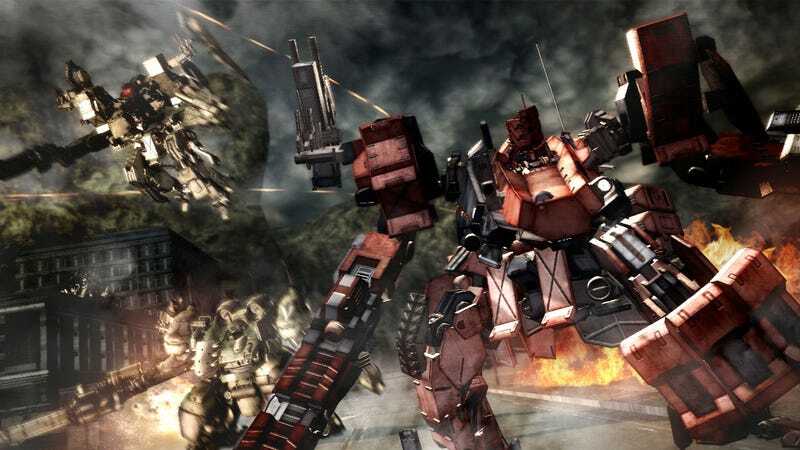 Armored Core V will be available throughout North America and Europe in 2012, according to Namco Bandai.